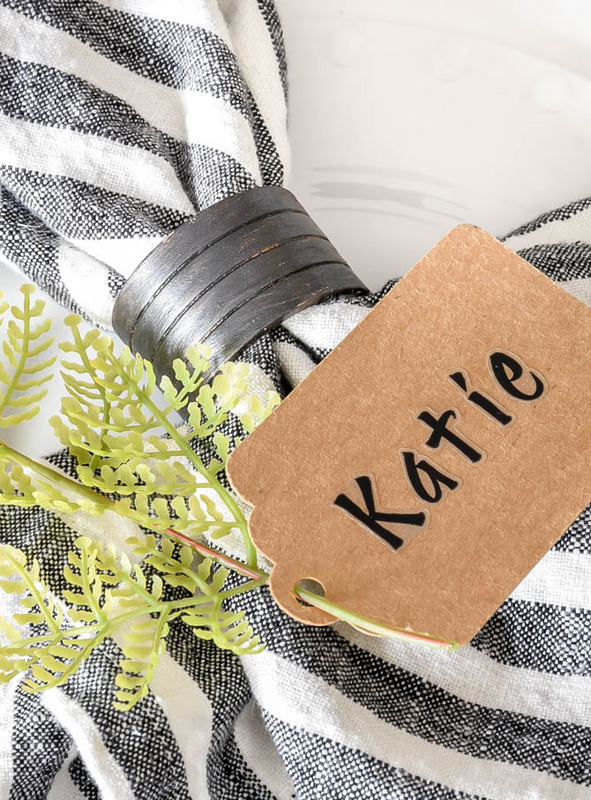 Create the perfect simple and affordable place setting with updated Dollar Tree napkin rings, sprigs of greenery and brown gift tags. Happy February! It's the first Monday of the month, which means it's time for another Dollar Store DIY! 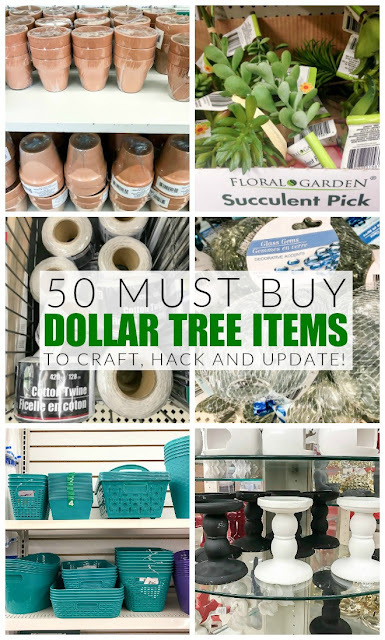 A few weeks ago, I shared 50 of my favorite Dollar Tree items to hack, makeover and update and totally forgot to include their shiny plastic napkin rings. Have you seen them before? I grabbed a pack a few months ago and just now got around to updating them. 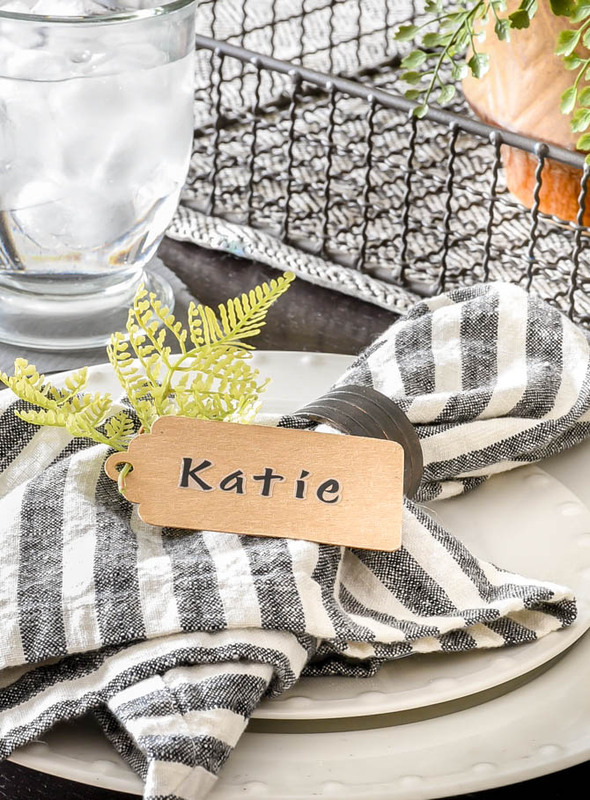 A rare warm winter day gave me the itch to create a simple spring place setting and I knew the napkin rings from Dollar Tree would make the perfect addition. 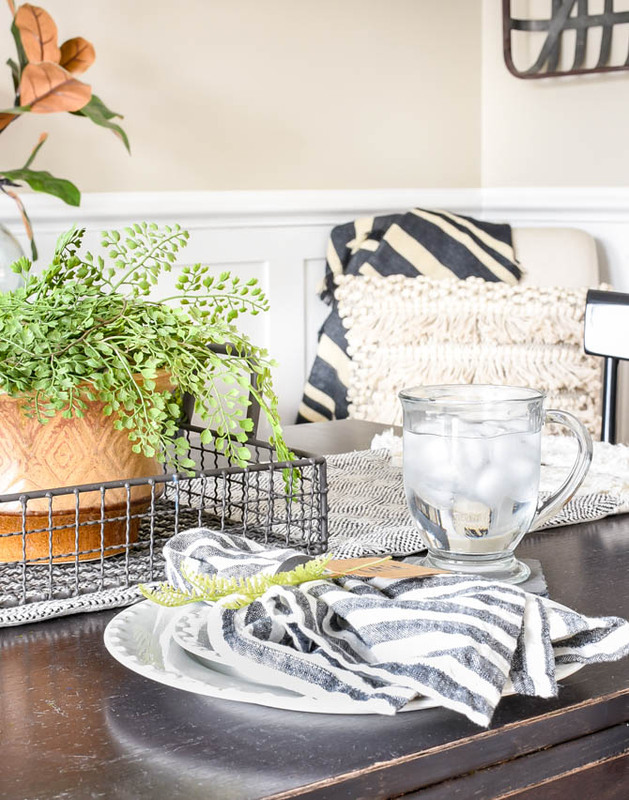 With basic white dishes, Dollar Tree glass mugs and affordable supplies, you can easily (and quickly) create a simple place setting perfect for Spring. 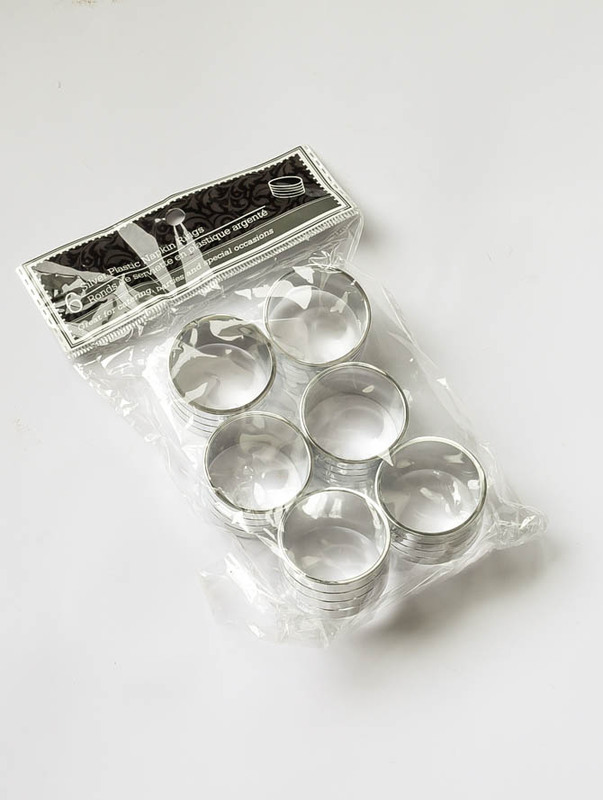 Six napkin rings for a dollar was a great price, but the shiny silver plastic definitely made them look cheap. 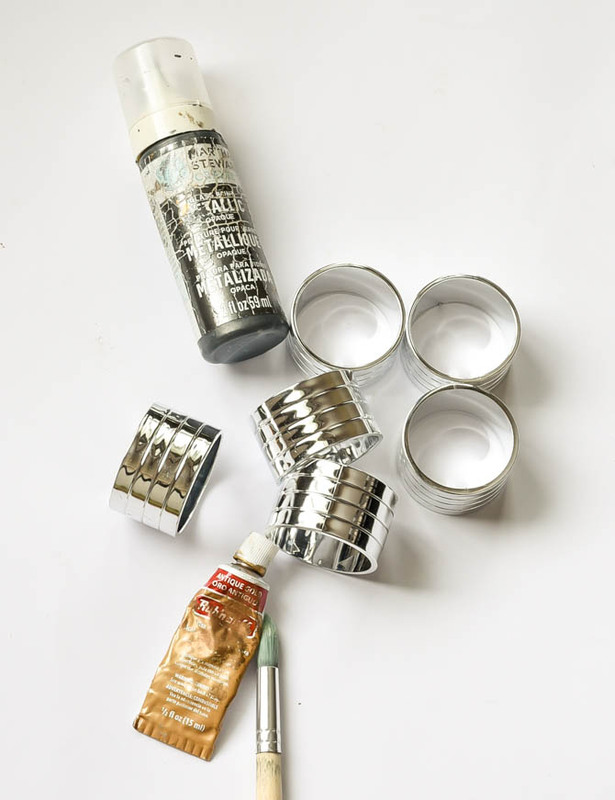 I wanted to give the napkin rings a more metal look, so I stuck with my favorite technique of Rub 'n Buff and metallic paint. I've used this combo in the past to update many Dollar Tree items including, glass storage jars, ornament candy jars and vintage inspired bottle brush ornaments. 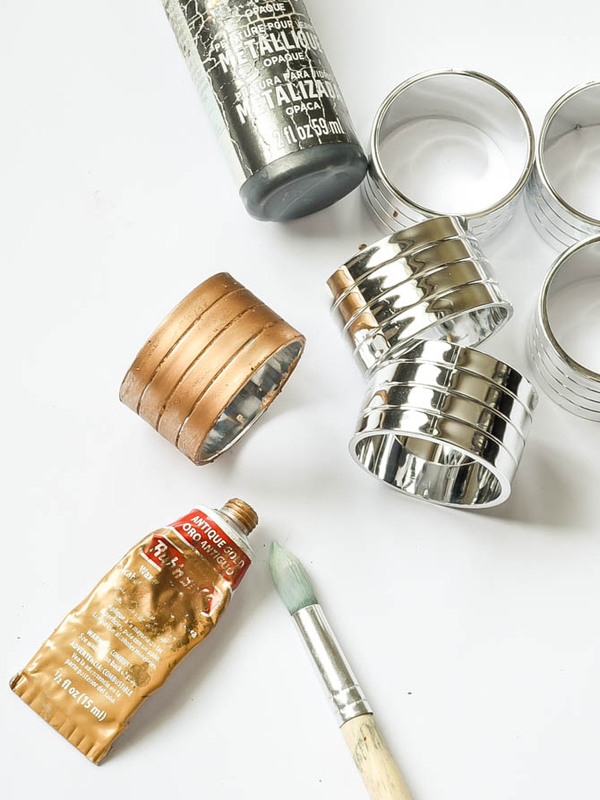 It's a great alternative to spray paint (especially during cold months!) 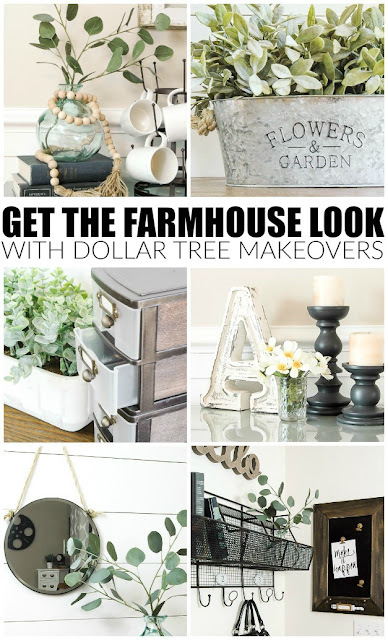 and it's two products that you can use over and over again to quickly and easily update inexpensive items. I first covered the plastic Dollar Tree napkin rings with Rub 'n Buff. I usually use Gold Leaf Rub 'n Buff, but I couldn't find my tube, so I used Antique Gold instead. While the Rub 'n Buff was still drying I applied a heavy coat of metallic gunmetal craft paint. I normally blend a few layers of both paints but decided to cover the napkin rings mainly in gunmetal with just a little antique gold peeking through. 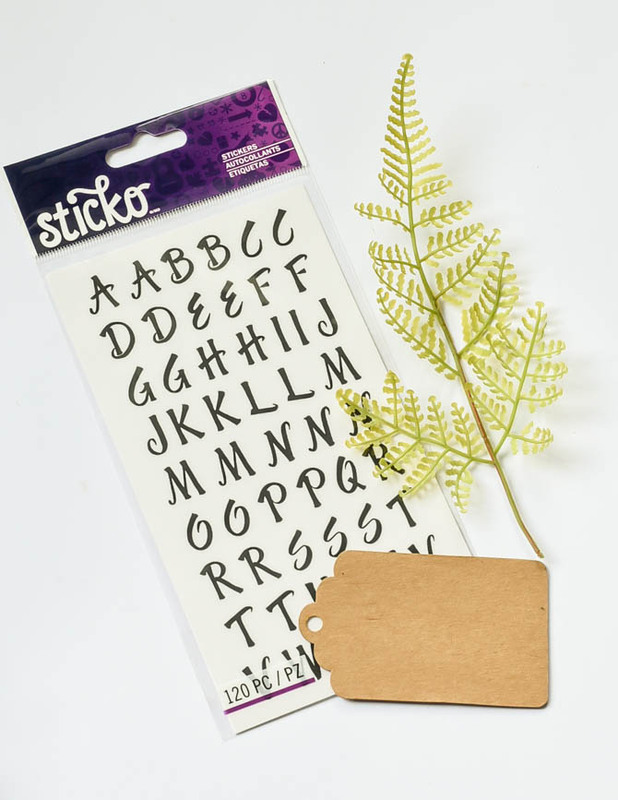 I used black alphabet stickers and brown gift tags to make easy personalized tags then added a sprig of greenery for the perfect simple and affordable spring inspired place setting. Wouldn't this simple set up be perfect for Easter or even a Mother's Day brunch? ***TIP*** Swap out the spring greenery for fall leaves, berries or winter evergreens. 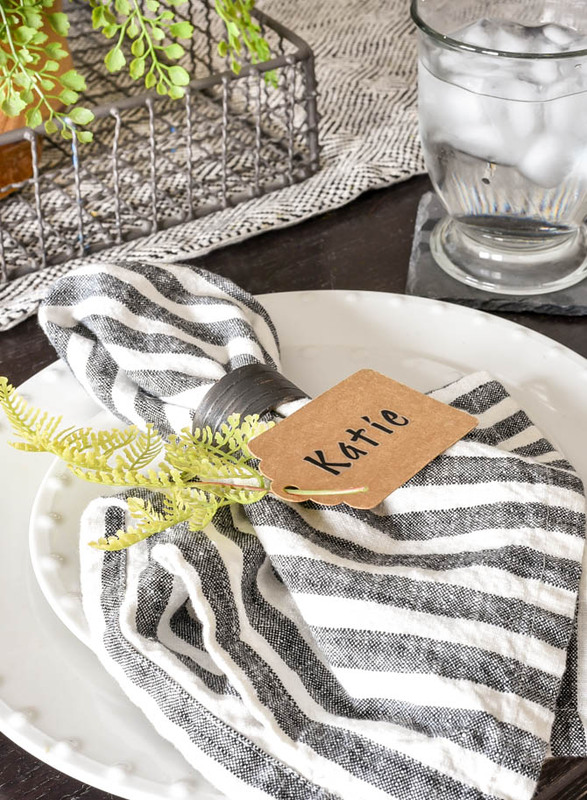 I bought the napkins from Target a few years ago, but you could always use Dollar Tree napkins, plates and greenery for an even more affordable place setting option. 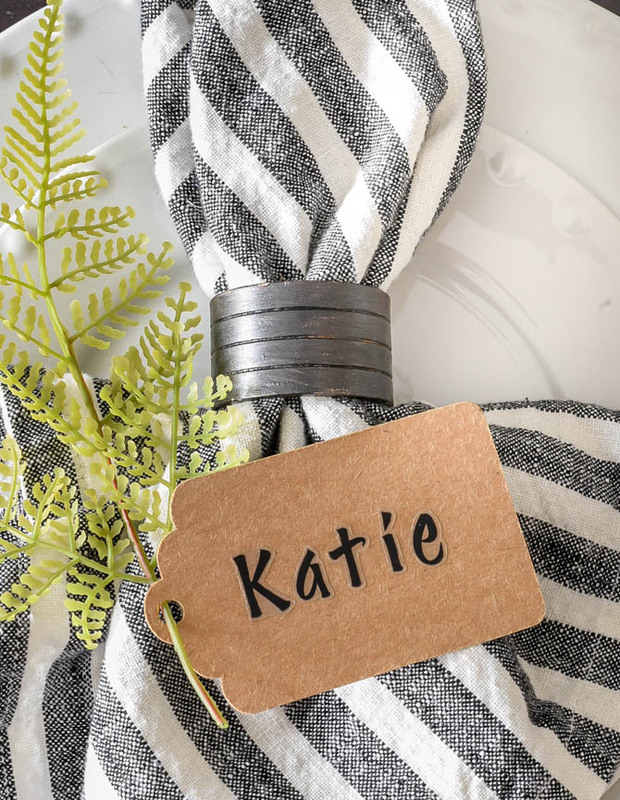 I love that these Dollar Tree napkin rings were super simple to update and are perfect for all year long! I created a simple spring place setting, but the options are endless simply by swapping out the greenery and napkins.